Kitchenaid is a USA brand which specialises in the manufacture of small kitchen electricals. Their products are known for there quality workmanship and long life. They won’t just work well in your kitchen. They’ll also look good. Each of their products is available in a range of stunning colours. 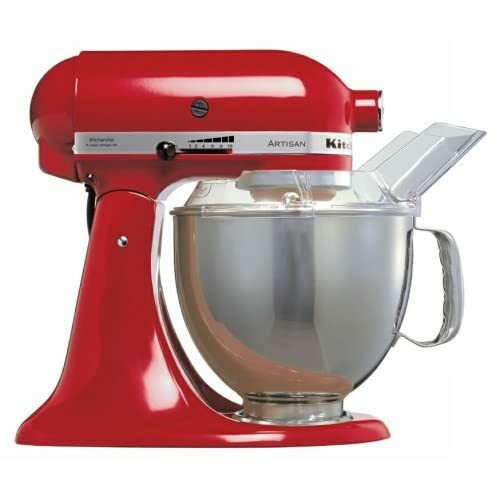 The Kitchenaid Artisan Stand mixer is a solid metal mixer with a 300 watt direct drive motor. A direct drive motor means that it is quieter than a standard mixer as their are less moving parts than a normal “belt / gearbox motor” . It also means it is more reliable and longer lasting. The 5 quart bowl has been ergonomically designed with a easy to hold handle. 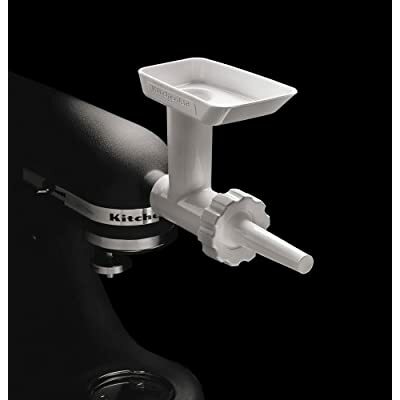 The mixer itself has a tilt back head allowing full access to the bowl and easy changing of attachments. Kitchenaid mixers are assembled by hand to give you a quality product and peace of mind. The classic design is by Egmont Arens and dates back to 1937 and forms part of Kitchenaid’s Artisan collection. The products in this collection have a stylish retro look with solid knobs and buttons, and smooth curves. But that’s not all! A Kitchenaid Artisan mixer isn’t just a mixer! You can also purchase optional attachments to extend versatility of the machine into other areas. The Kitchenaid mixer pack aims to make your life easier by grinding, mincing, slicing, shredding and straining for you. Click here for more information and to buy. Here’s a short video showing the strainer in use. Click here for more information and to buy. 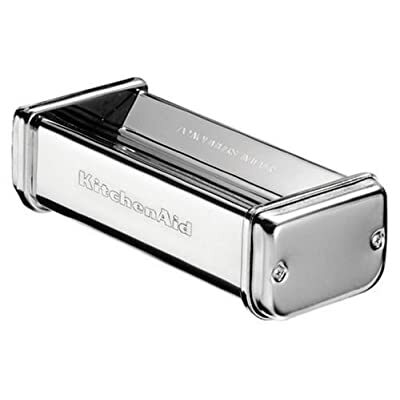 The Kitchenaid pasta attachment set contains three attachments so that you can roll and cut perfect pasta. The roller attachment allows you to roll pasta up to 140mm wide. This would be perfect for lasange, there are also two cutters which cut at different widths for either tagitelle or linguine. 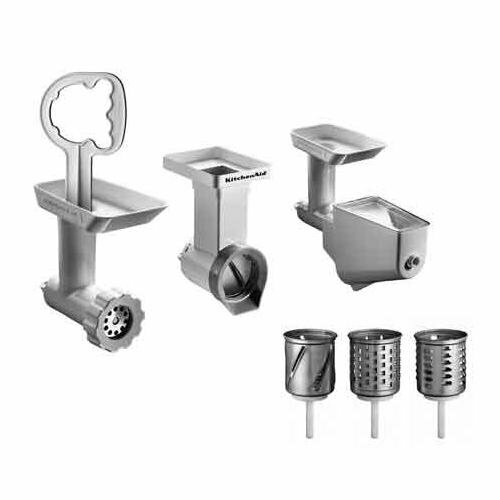 Click here for more information and to buy the Pasta attachment set. The following video from KitchenAid shows how to use your KitchenAid mixer and pasta attachments to make great pasta. This video shows the KitchenAid juicer attachment in action. Have you ever wanted to make your own sausages? Perhaps create your own inventive flavours. With the KitchenAid sausage stuffer it’s easy. Click here to find out more and buy the Kitchenaid sausage stuffer. If you’ve bought a Kitchenaid mixer the opportunities are endless leave a comment and let us know what you like best about your’s or any tips and tricks to share with our readers.